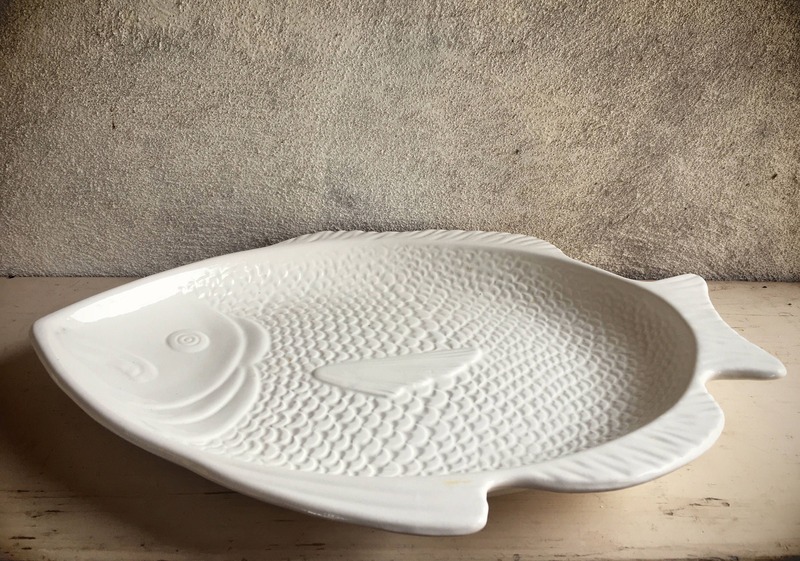 This vintage ceramic fish platter is shaped like a fish with added texture for the scales. 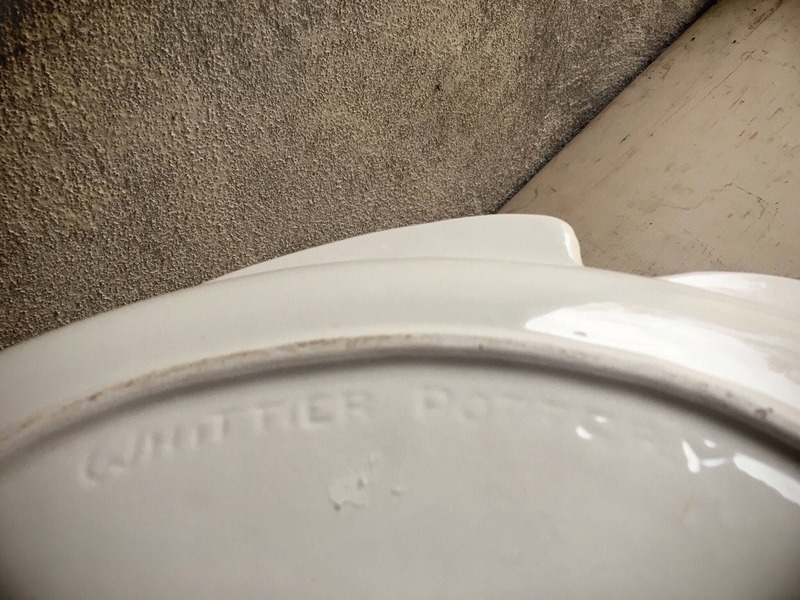 Made by Whittier Pottery in the USA. 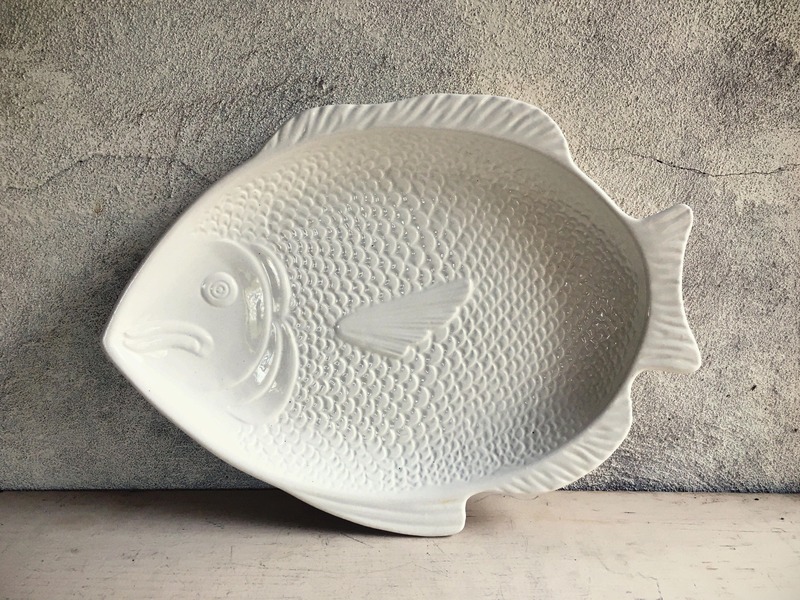 Whittier Pottery was named after the city in which it operated, and was part of the history of California Pottery, which was especially vibrant from the 1930s through the end of the midcentury era. 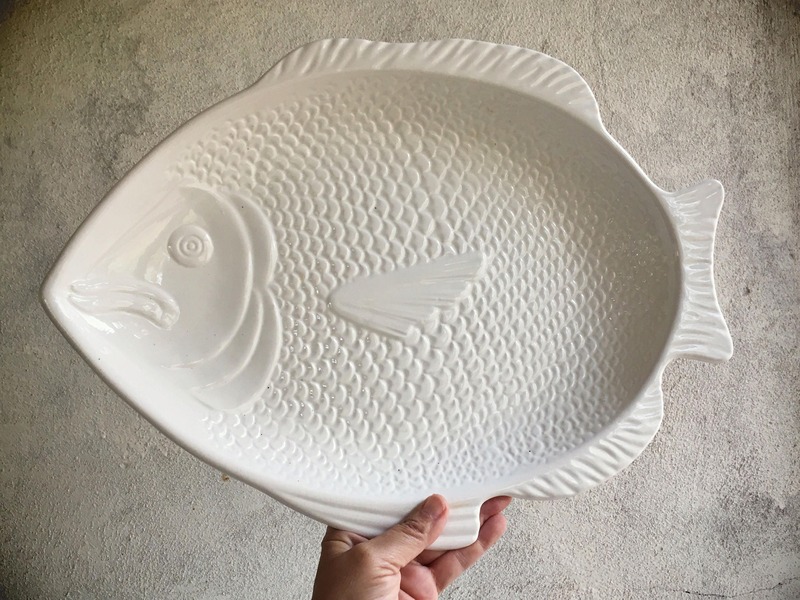 Many of those companies have since closed, and the pieces are especially lovely and perfect for today's midcentury and minimalist revival, revered for their quality, color, materials. 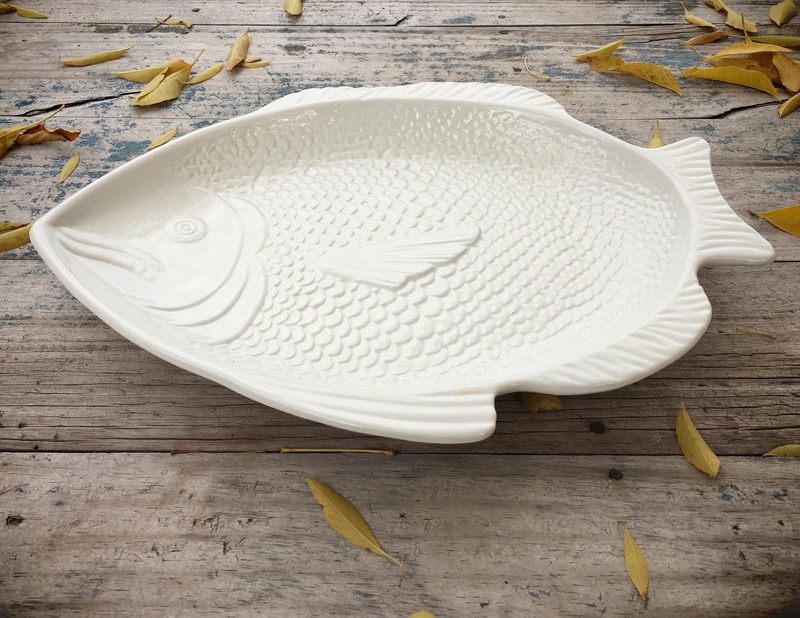 This fish platter measures 16-1/2" across by 12-1/2" high and about 2" tall. Some crazing on the surface glaze. 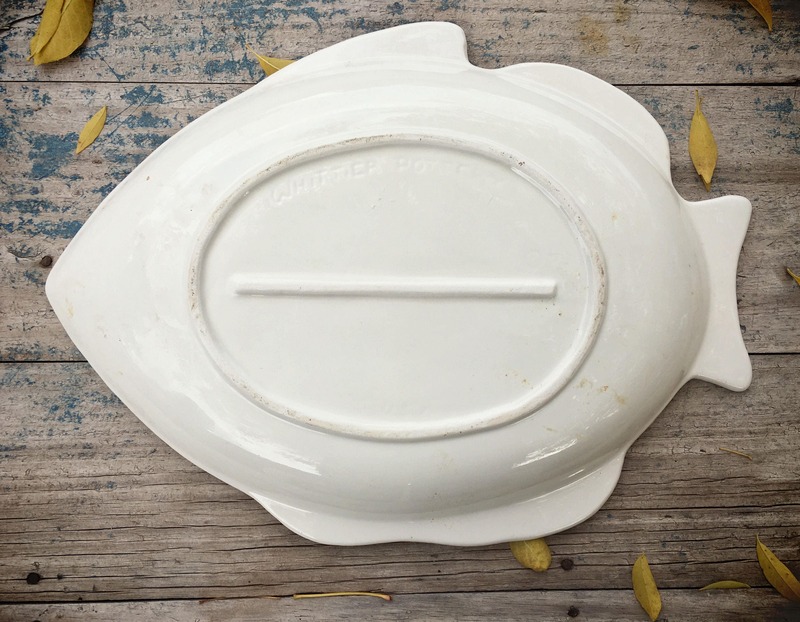 The unglazed base as some discoloration from age and wear. Otherwise in good vintage condition. 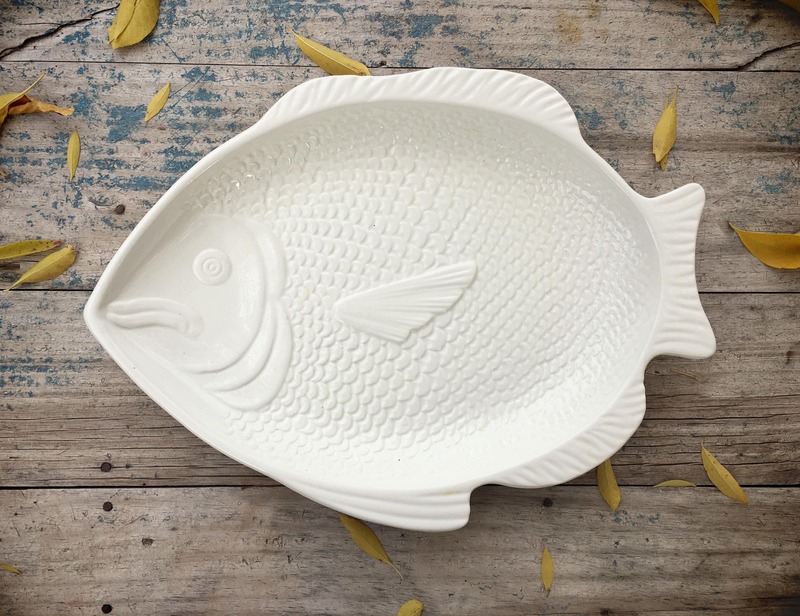 Mullet over...I think you'll realize this cod be a fintastic gift for the lover of fish!